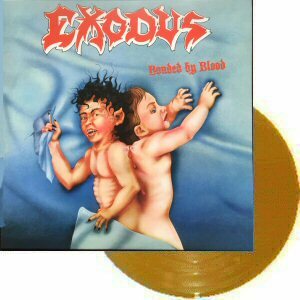 Had it been released immediately after it was recorded in 1984, Exodus’ Bonded by Blood might be regarded today alongside Metallica’s Kill ’em All as one of the landmark albums responsible for launching the thrash metal wave. But by the time it finally hit the streets more than a year later due to numerous record company-related difficulties, the genre the band helped spawn had evolved at an alarming rate (again, largely thanks to the unstoppable Metallica) and Exodus were left to wonder what kind of impact they may have had without these setbacks. 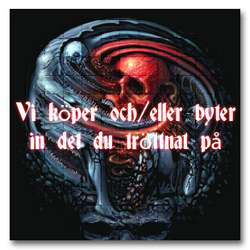 Opening with the mind-blowing power of title track, the band immediately pummels through a number of astounding thrashers, including “And Then There Were None” and, perhaps their best well-known track, “A Lesson in Violence” — a veritable handbook for thrash etiquette. Though less enduring, “Metal Command” is one of the band’s most fully realized compositions and leads the way into concert the fave “Piranha,” which may sound a tad dated, or charmingly naïve depending on the listener. The same can be said for the remaining material, and while “No Love” could have done without its acoustic intro, the band closes strong with “Deliver Us to Evil” and the crushing intensity of “Strike of the Beast.” The 1989 reissue on Combat Records adds a couple of live versions and drops the admittedly awful (but once again, endearingly so) original cover artwork, but there really was no reason to tweak this underground classic in any way. Put simply, Bonded by Blood is an album whose influence far exceeds its actual notoriety, and it remains a crucial piece of the thrash metal puzzle — essential.